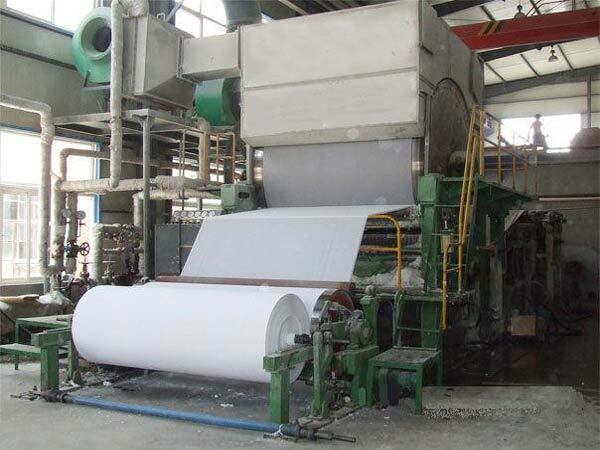 Toilet paper making machine is the special machine for making toilet paper. The toilet paper machine can be divided into two categories on the basis of automatic degree: automatic toilet paper manufacturing machine, semi automatic paper machine, small toilet paper making machine. Today, I would like to share some application notices of toilet paper machine. In order to make toilet paper making machine have normal working condition, you should work out rules for maintaining machine. Meanwhile, you should have necessary maintenance tool, lubricating oil and relevant accessories. When you use toilet paper machine, you should clean grinder roll device on time. And, you should change the damaged spare parts in time. You can not ignore daily maintenance work. Only if you complete daily work, we can guarantee the machine have good performance and long service life. You should arrange fixed worker to take charge of toilet paper making machine during working process. The operator should possess a certain of technology. Before installing toilet paper machine, operating workers should receive necessary technological training to make them know the principle and operating rules. There are many types of toilet paper making machines for sale. As professional tissue making machine manufacturer, you can get what you want from us. So, if you are interested in our machine, contact us!